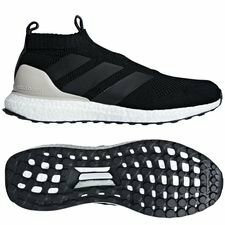 ACE 16+ Ultraboost | Back once again! Back in late 2015 the first adidas laceless boot was introduced to the world, the ACE 16+ was born! Since then a ton of colours and updates have followed the silo, but something that we won’t forget is the complementary sneakers ACE 16+ Ultraboost, which are back once again. Back in the days, yeah I know two years time isn’t that much, adidas always had an extra treat besides a new colourway launch. When they dropped a new colourway for the ACE 16+, it always almost meant a new, and highly demanded Ultraboost sneaker. 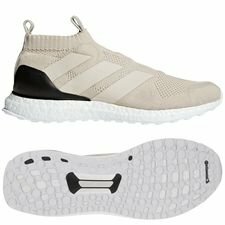 The hype for the sneaker didn’t die since adidas switched the ACE 16+ for the ACE 17+ and the sneaker focus moved to the Nemeziz Ultraboost instead. Now is your chance to get a new pair of the Limited Edition ACE 16+ Ultraboost. adidas ACE 16+ is almost the same as the previous ACE 16+ football boots. It came with the former innovative and modern mid-cut, and featured a Primeknit upper, while featuring the Boost cushioning. The sneaker was a true innovator and implied the fusion between two worlds: football and fashion. This combination opened new doors for football fanatics, who urged to rock the football look 24/7 every day all day! These new Limited Edition ACE 16+ Ultraboost also includes the Predator mindset, as the new sneakers takes inspiration from one of the most iconic and boldest predator in the world: the leopard. 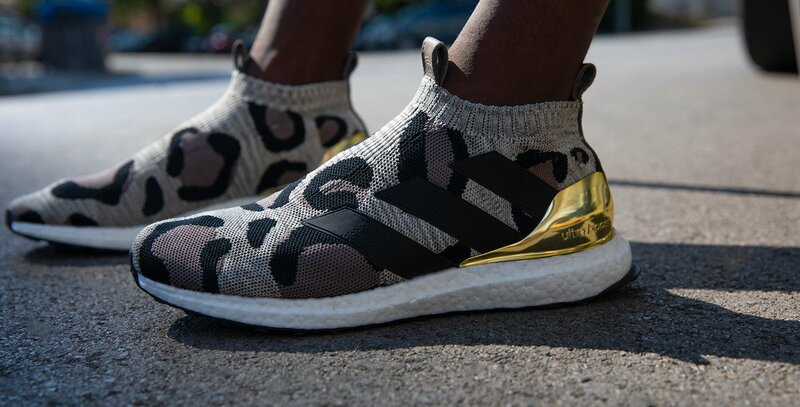 As something new this will be the first time ever that adidas incorporated the leopard pattern in the Primeknit. Furthermore, adidas also gives you not only one sneaker, but 3 new sneakers. You get one made in a full black upper and a beige feature on the heel, while another is made in a complete opposite design, which is inspired by the leopard’s fur. The last might be one of the craziest I’ve seen and it’s also going to make you go full leopard mode. 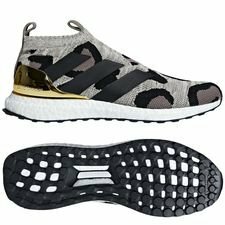 adidas has taken the pattern from the leopard’s fur and made the same pattern on the sneakers, while a golden heel to top it off. The Limited Editions sneakers are available at Unisport from today. But you have to be very fast to get your own pair! You can find all our Ultraboost sneakers right here.